Our next Photo of the Week is Edwin van Teijlingen‘s photo taken in the Nawalparasi district of Nepal. This weekly series features photo entries taken by our academics, students and professional staff for our annual Research Photography Competition, which gives a glimpse into some of the fantastic research undertaken across the BU community. In early 2017, Bournemouth University led the last of six one-day training sessions in Nepal. This project in improving maternal mental health involved bringing UK volunteers to this South-Asian country to do the training. The training was conducted jointly by UK volunteers and Nepali-speaking trainers and translators. The project, under the Health Partnership Scheme (HPS), was funded by the UK Department for International Development (DfID) and managed by THET (Tropical Health & Education Trust). 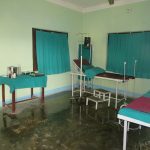 The project centred on Auxiliary Nurse Midwives working in birthing centres in Nawalparasi. This is relatively poor a district in the south of Nepal, bordering India. Since the training site was very close to Lumbini, the birthplace of Buddha, we always tried to take volunteers there for a visit. This photo was taken just outside of the main building (not in view). 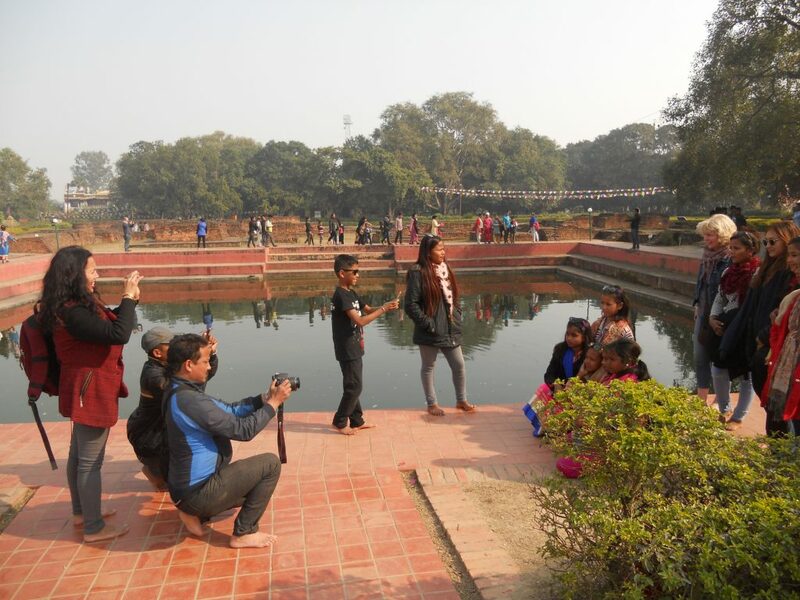 It shows many Nepali visitors to the site trying to get a photograph of, or be in a photograph with, our fair-haired Scottish volunteer, Dr. Flora Douglas. Edwin van Teijlingen is a Professor of Reproduction Health. For more information about this research, please contact Edwin here.